"You can't evict an idea whose time has come. 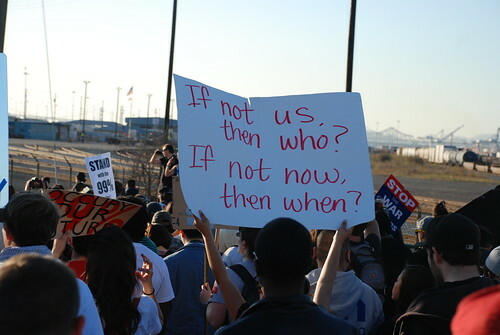 Our problems aren't going away tomorrow so we sure as hell aren't going anywhere either. "Find a November 17th action near you. I'm a union ironworker by trade, so you can imagine how hard it's been to find work in this economy. Heck, there are more than 250,000 people looking for work in Massachusetts right now - but the jobs just aren't there. My friends in the construction trades have been some of the hardest hit by the recession, and the impact on other businesses has been pretty clear. Meanwhile our roads and tunnels are crumbling. Bridges like the one to Charlestown are falling apart. But the politicians in Washington would rather protect tax breaks for billionaires than take action on jobs. They're standing up for the 1% instead of putting thousands of people like me back to work by making our roads safer. That's why I'm marching with MASSUNITING, labor unions and more than a dozen community organizations on November 17. We're coming together to demand that our leaders focus on creating JOBS for the 99%, not cutting the services we rely on every day. Click here to join me on November 17, as the 99% March for "Jobs, Not Cuts." 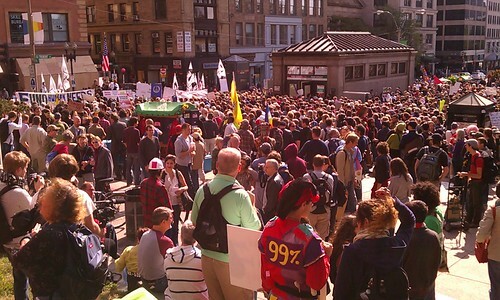 We'll be meeting at 4 PM in Dewey Square, across from South Station -- where I've been camped out with #OccupyBoston. From there, we'll march to the Charlestown Bridge to show people just how serious the situation is. 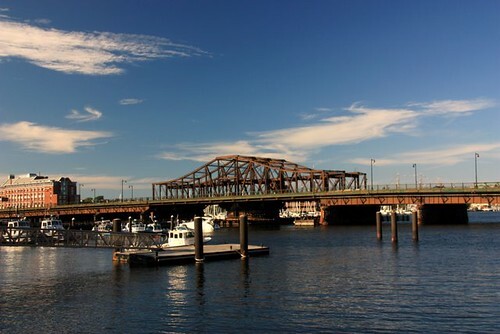 Any ironworker can tell you that bridge is held together with rivets we haven't used since the 1930s, and there are plenty of others just like it across Massachusetts. Personally, I'm tired of hearing about program cuts and new tax breaks for the rich. If our elected leaders want to fix this economy, they need to get serious about creating jobs to fix these bridges. The 99% need jobs, not cuts -- and we're demanding an economy that works for everyone, not just the richest 1%. If you're with me, click here. You can learn more about the National Day of Action on November 17. On November 17th, people are coming together all over the country for a huge day of action. We will demand an end to measures that benefit the 1% at the expense of the 99%.Find an event near you. http://pol.moveon.org/event/weare99/Or organize your own event!http://pol.moveon.org/event/create.html?action_id=260 More and more of us are demanding accountability from Wall Street, but lawmakers in Washington DC are slow to respond. Over the past month, Congress has failed to pass a jobs bill or any other plan that could turn our failed economy around for the other 99% of us. (The Wall Street tax just introduced is a good start -- we need to pass that and much more. )It's clear that Wall Street doesn't understand--or doesn't care--that we face an economic emergency. And far too many in Washington are listening only to the 1%. Our homes are being taken by greedy banks that we bailed out. Job prospects for the unemployed, students, and veterans are practically non-existent. And at all levels, politicians are looking to make even deeper cuts to our schools and vital health and human services.That's why we will all take to the streets for "We Are The 99%" day—a mass action on November 17 to declare an "economic emergency" in every corner of the country, in all 50 states. We'll gather in front of bridges that need work, understaffed schools, and other community sites that highlight our failed economy. Wherever you are, this is the day to declare an economic emergency in your community. The past months have been awe-inspiring. 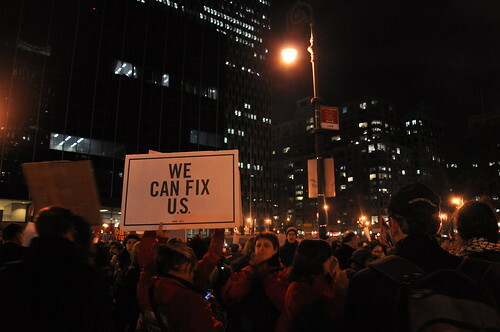 All over, Americans are fighting back against a system rigged for the 1%. But many of our elected officials continue to sit on the sidelines--or worse, do the bidding of the 1%. Until we start to see our economy transformed, we'll keep taking to the streets to amplify our voices.Join us.Find an event near you. At the time of writing this post, there were 196 events planned across the country, and counting.http://pol.moveon.org/event/weare99/Or organize your own event!http://pol.moveon.org/event/create.html?action_id=260Pick a place in your community that exemplifies how our failed economy has manifested on your block, neighborhood, or city --a crumbling bridge, a school facing cutbacks, a foreclosed home. Mobilize those who are impacted daily by the greed and corruption of the 1%.Let's join the rest of the nation to make November 17th a historic moment of power and solidarity.